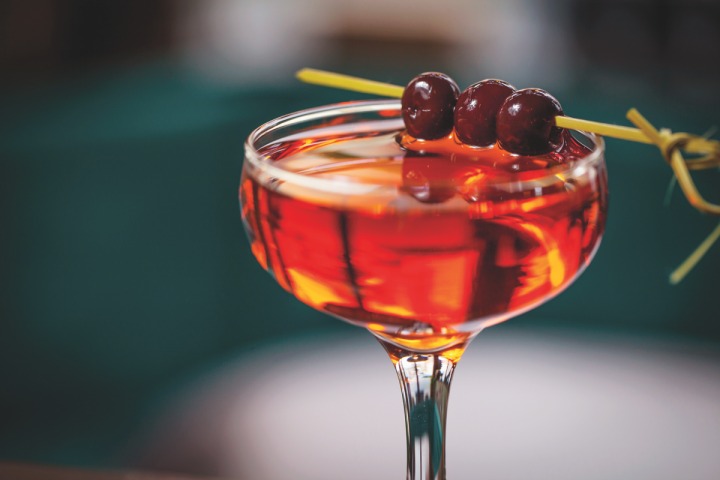 A custom creation, the Barbosa cocktail incorporates Aperol, cherry liqueur and bitters to round out the cachaça’s different elements. The World Cup certainly helped expand exposure of cachaça, and as more brands become available in the U.S. market, this awareness will only continue to grow. “Cachaça used to be available only in specific pockets of the country, but now it’s expanding,” says Steve Luttman, founder of Leblon cachaça. And with the 2016 Summer Olympics set to take place in Rio de Janeiro, Luttman expects the cane sugar spirit’s recognition to increase significantly. “There are so many cachaça brands in Brazil, and I expect many of them to appear in the United States, especially as the Rio Olympics promote more interest in the country,” he adds. As Brazil gains increasing attention at a global level and the country’s national spirit has become more recognizable, mixologists are exploring cachaça’s cocktail possibilities, using the Caipirinha as a starting point to experiment and explore new drink combinations. “In recent years, the fame of Brazil’s national cocktail has spread beyond the borders of the country, and these days Caipirinhas are available in bars and restaurants from Miami and Montreal to Mumbai and Munich,” says Vivian Viana, manager at Boteco in Miami. The Brazilian restaurant and bar’s house Caipirinha ($7) is made with Tatuzinho cachaça, muddled lime and sugar. James Watkins, beverage director for Houston-based Cordúa Restaurants, points to the Caipirinha as the cocktail that best exhibits cachaça’s unique flavors. The company operates eight Latin American venues in the Houston area. “Cachaça shows a lot of character compared to traditional rums,” Watkins says. 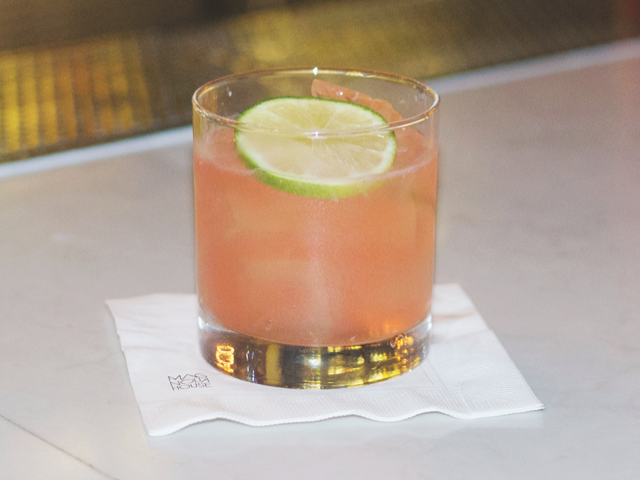 “It’s far more intense in nature and pairs really well with high-toned citrus like lime.” The Caipirinha ($9.95) at Cordúa’s Artista restaurant features Barsol cachaça, muddled lime and sugar. While the Caipirinha and cachaça go hand-in-hand, Leblon’s Luttman is excited to see mixologists experimenting with this simple recipe to make creative variations with seasonal, fresh flavor profiles. “The Caipirinha is usually the gateway to cachaça for many consumers, but we’re finding that mixologists use the drink as a starting point to make more elaborate fruit Caipirinhas and include unique additions like herbs,” he says. Leblon’s cocktail book, “The Art of Cachaça: Crafting Cocktails with Brazil’s Artisanal Spirit,” offers numerous variations on the classic cachaça drink: The Kumquat Ginger Caipirinha comprises Leblon, sugar, and fresh kumquats and ginger; the Cucumber Jalapeño Caipirinha blends Leblon with agave nectar and fresh English cucumber, lime and jalapeño; and the Tangerine Honey Caipirinha features Leblon, fresh tangerines, tangerine juice and honey. Oficina Latina in New York City has a section of its cocktail menu devoted to Caipirinhas. The Classic Caipirinha ($12) features Pitú cachaça, muddled fresh lime and sugar; the Banana Ginger Jalapeño Caipirinha ($14) comprises jalapeño-infused Pitú, fresh banana purée, house-made ginger syrup, fresh lime and sugar; and the Kumquat Rosemary Caipirinha ($14) blends Avuá Amburana aged cachaça, house-made rosemary syrup, sugar, and fresh kumquats and lime. 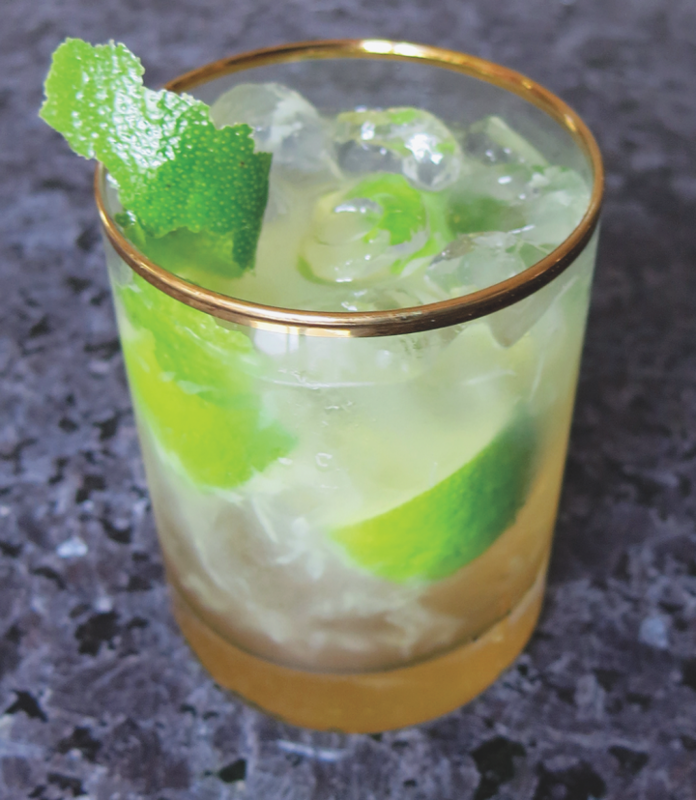 “The current sophistication of bartenders has made a simple Caipirinha a great foundation for experimentation,” says Josh Hafer, corporate communications manager for Água Luca cachaça owner Heaven Hill Brands. “Modifying a base Caipirinha with unexpected flavors and ingredients presents a mix of the exotic with a simple, recognizable and delicious cocktail.” At The Broken Shaker in Miami, the Parcha Caipirinha ($11) features Leblon, passion fruit juice and house-made pink peppercorn reduction, while Einhorn’s Japanese Caipirinha ($10) at Lush Wine & Spirits blends Velho Barreiro aged cachaça with muddled lime, sugar and a float of Mito No Kairakuen 5-year-old plum liqueur. 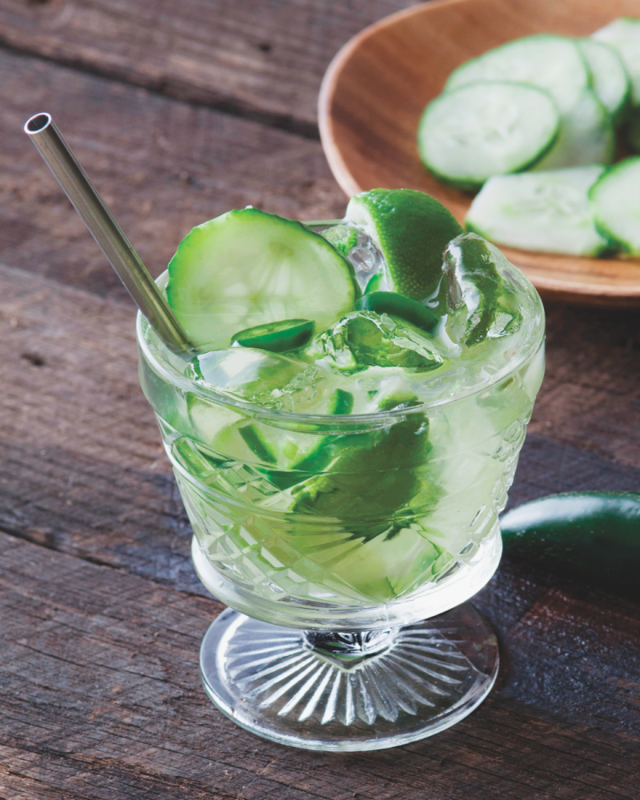 “Many consumers are familiar with the Caipirinha, and we love working with cachaça to teach guests how good the spirit is and help them discover new ways to enjoy it,” Einhorn says. 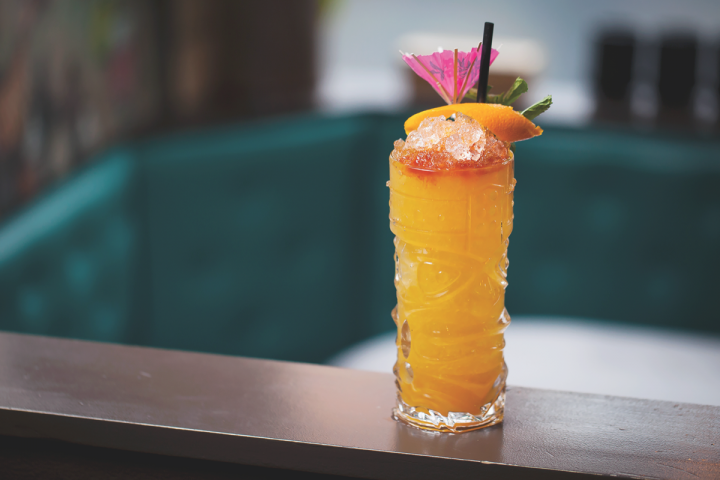 Mixologists are taking cachaça beyond the Caipirinha with such creations as the Visible Edulis, which mixes passion fruit and orgeat syrups, along with lime and pineapple juices. In Brazil, there are more than 40,000 cachaça distilleries, according to Novo Fogo’s McKinley, who adds that diversity within the category is vast. “All cachaças must be distilled from raw sugarcane juice, giving them a distinctly funky and fresh flavor, but regional differences in climate, terroir and production methods have a tremendous impact on how each cachaça tastes.” Novo Fogo markets four different expressions: the unaged Silver and the aged Chameleon, Tanager and Barrel-Aged variants, each exhibiting different flavor characteristics due to the barrels used and the time spent in them. “The Caipirinha will likely continue to be the main driver of the cachaça category, but we’re beginning to see more creativity and unique combinations,” Leblon’s Luttman says. In New York City, the Lost in Bangkok ($14) at Louie and Chan restaurant comprises Leblon, Cedilla açai liqueur, homemade spicy ginger syrup, Angostura bitters, lemon and orange juices, and cilantro leaves. And at Forrest Point bar in Brooklyn, New York, bartender Dustin Olson’s Pencil Thin Mustache ($11) features Leblon, Fernet-Branca amaro, fresh pineapple and lime juices, and a house-made mint syrup. Tiki-inspired cocktails are a natural fit for cachaça due to both the spirit’s sugarcane base—a natural partner for fresh fruits and citrus—and its earthiness, which pairs well with herbs and spices. “Cachaça adds Brazilian flair to any cocktail, especially those calling for fresh and simple ingredients, such as fruit juices and herbs,” Luchini notes. Sagatiba’s Maroon Swizzle features the Velha expression, Demerara simple syrup, fresh lime juice and homemade allspice dram. While cachaça is commonly featured in fruity, Caipirinha-like drinks, the spirit is complex enough to stand up to bolder flavors and other spirits, as many mixologists are beginning to discover. “Cachaça definitely screams to be part of a refreshing cocktail, but recently I’ve started to see it being used in more aromatic cocktails,” says Brian Klemm, bartender at Copa d’Oro in Santa Monica, California. “This trend definitely speaks to the true vegetal and earthy characteristics of the spirit and what makes it so beautiful. The Caipirinha got cachaça through the door, so now the spirit just has to turn the corner and show that it can do more.” For Cuca Fresca cachaça, Klemm created a number of cocktails ranging from tall and refreshing to bold and bitter. 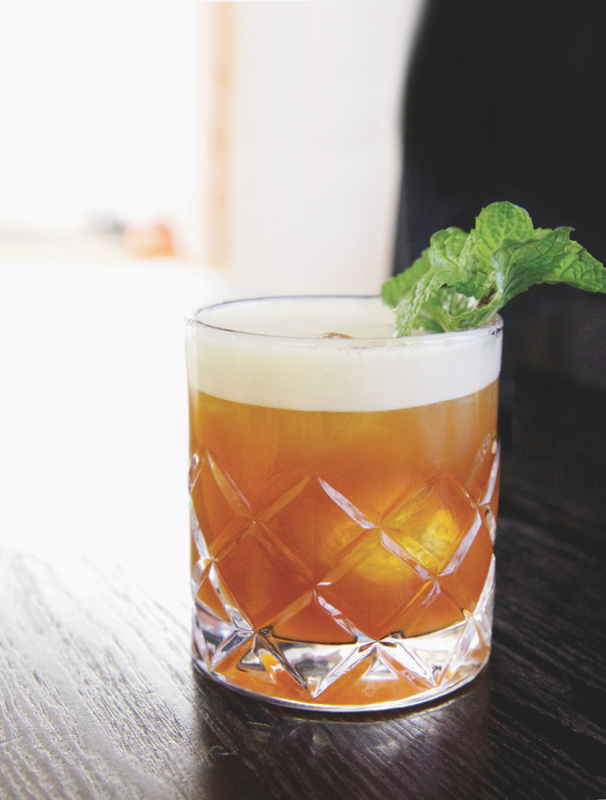 His Porto Velho features Cuca Fresca with fresh lime juice, raw agave nectar, Original Combier orange liqueur and egg white, while his Rabo de Gallo blends Cuca Fresca with Cynar amaro. Cocktails like the Maroon Swizzle, blending aged cachaça, simple syrup, lime juice and allspice dram, take the spirit to new creative heights by drawing inspiration from the classics. As craft cocktails continue to reign at the bar, mixologists are on the lookout for new ingredients, unique flavor combinations and chances to experiment. As a lesser-known spirit, cachaça offers mixologists a way to introduce cocktail enthusiasts to new, unexpected possibilities, even by simply taking a tried-and-true recipe and using cachaça instead of the traditional spirit. Indeed, there’s now an abundance of cocktail recipes that feature cachaça swapped for the expected base spirit. Replacing the usual white rum, Sagatiba Pura cachaça is the star of the brand’s Brazilian Mojito, which also features fresh mint, sugar, lime and club soda. Leblon’s cocktail book includes a section devoted to “Twists on the Classics,” including the Brazilian Margarita, made with Leblon, Cointreau orange liqueur, lime juice and simple syrup, and the São Paulo Cosmo, comprising Leblon, Cointreau, cranberry juice and lime juice. At Lush, Einhorn’s Brazilian Bloody ($10) is made with Velho Barreiro cachaça and Twisted Spoke Bloody Mary mix. While these cocktails all use cachaça—both unaged and aged—to replace white spirits, cachaça can also stand in the place of dark spirits like whiskies. 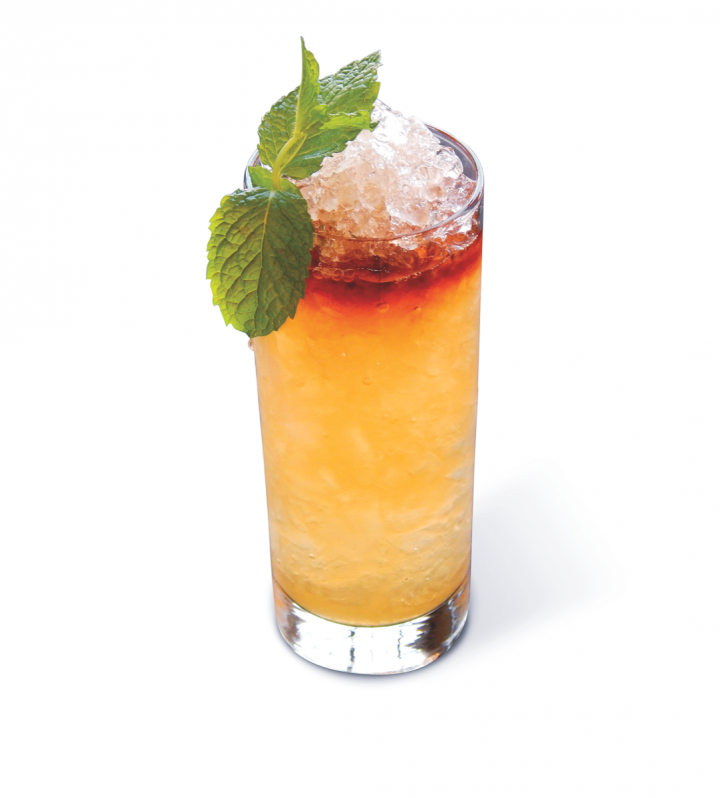 “Spirits are not necessarily bound to long-held, rigid cocktail formulas,” McKinley says. “For example, the classic Old Fashioned is a drink blueprint that transcends the conventionally used Bourbon or rye—it can be equally enjoyed with spirits like mezcal, Pisco and certainly cachaça.” Sagatiba’s Brazilian Old Fashioned features the Velha expression, maple syrup, Angostura Orange bitters and Fee Brothers Whiskey Barrel–Aged bitters. Leblon’s Bossa Manhattan blends Maison Leblon Reserva Especial aged cachaça with Cedilla açai liqueur, agave nectar and Angostura bitters, and the brand’s Brazilian Julep features Leblon cachaça, Southern Comfort liqueur, lime juice, simple syrup and mint. Combine cachaça, amaro, juices and syrup in a cocktail shaker with ice. Shake well and strain into an ice-filled Old Fashioned glass. Garnish with a sprig of mint, lightly slapped to release the aroma. 1Combine 2 cups sugar, 2 cups water, ½ teaspoon salt and 2 cups roughly chopped mint in a saucepan. Bring to a light boil and remove from heat when sugar is dissolved. Allow to steep for 30 minutes, strain and cool. Muddle lime and sugar in the bottom of a rocks glass. Add ice and cachaça and then float liqueur on top. Garnish with a lime peel. Squeeze limes and drop into a cocktail shaker. Add cachaça, St-Germain, Campari, grapefruit juice and ice. Shake and strain into an ice-filled rocks glass. Garnish with a lime wheel.